Gives a gentle warm white glowing light. Perfect for lighting decks, flower beds, patio's, paths etc. Solar Ground Light. Flooring Tools. Kitchen Essentials. One LED per fixture. Kitchen Disposables. Panneau solaire Durée de Vie: plus de 5 ans. panneau solaire: 0.55 W, 17% efficacité. QUANTITÉ de LED: 20 Leds. Type De LED: 2835 SMD; 0.2 W/Led; 25LM/Led. LED Durée de Vie: 50,000 heures. -activer le dispositif: utiliser la broche fournie et insérez la dans le trou on/off pour déverrouiller la batterie et la lumière. Stainless Steel Solar House Door Number Plaque This sophisticated LED outdoor solar unit with stainless steel finish is ideal for illuminating your house number after dark. - 4 x super bright white LED lights inside stainless steel weather resistant casing. LED Solar Stainless Steel Pathway Garden Wall Light. This superb quality outdoor light fits flush to the wall and is fully certified for outdoor installation. Affix to your wall and light up your garden. High power, ultra bright white LEDs. Great Range of Products. We will always do our best to resolve any issues. Genuine & Authentic. Color: 3000K Warm White. Solar panels: Polycrystalline Solar Panels 5V/2W. 1x Solar Light(3000K). 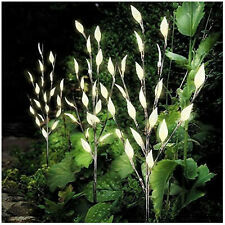 Can be used for outdoor garden corridor lighting and Flowers trees beautification lighting. 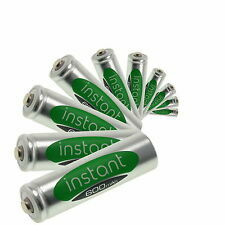 Battery: 3.7V/2200mAh 18650# lithium battery(NOT Included). Material: Glas Farbe: Orange, Grün Akku Spritzwassergeschützt Durchmesser x Höhe in cm: 11,5x10 . If the solar panel did not absorb enough sunlight, the lights would not last long. Non plug in, using solar power.The solar panel is easy to install. These lights are turned on automatically in darkness and turned off automatically in brightness. 3Pc solar powered pink flamingo set is a sense of lightening fun to your garden with these light-up pink flamingos. These eye-catching flamingos light up once darkness falls to create a striking effect in any garden.